Using your choice of building materials, LEGO®, DUPLO®., Keva Planks® or Roominates® see what you can build in an hour at the Builders Club program at the Enfield Public Library on Friday, April 27th at 3:45 to see what you can build in an hour. This is a drop-in program. Work independently or with friends, but come for the fun of it! Join us for our monthly KITE meeting beginning at 5:30. Dinner and child care are provided. Please rsvp to Chris Gomeau if you are planning to attend. 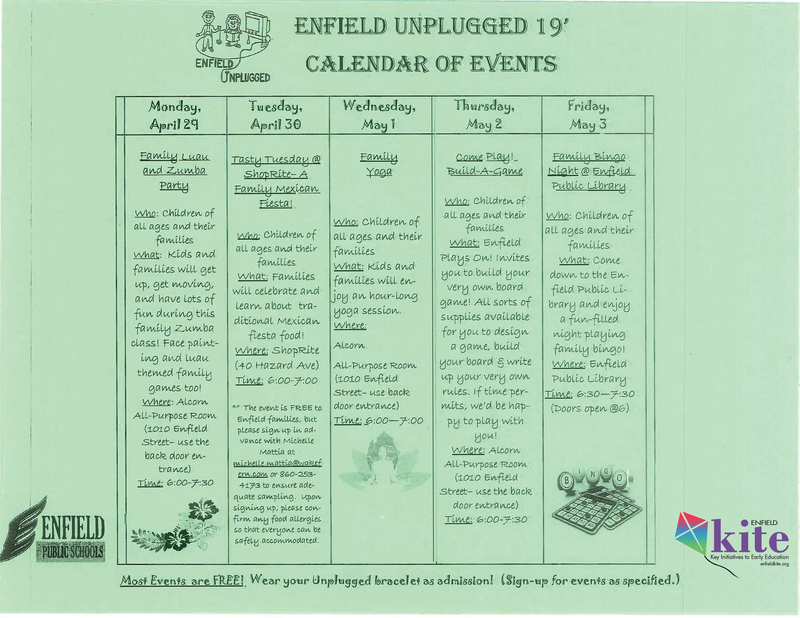 For additional information or questions please email cgomeau@enfield.org or call 860-253-6502. Hope to see you there!